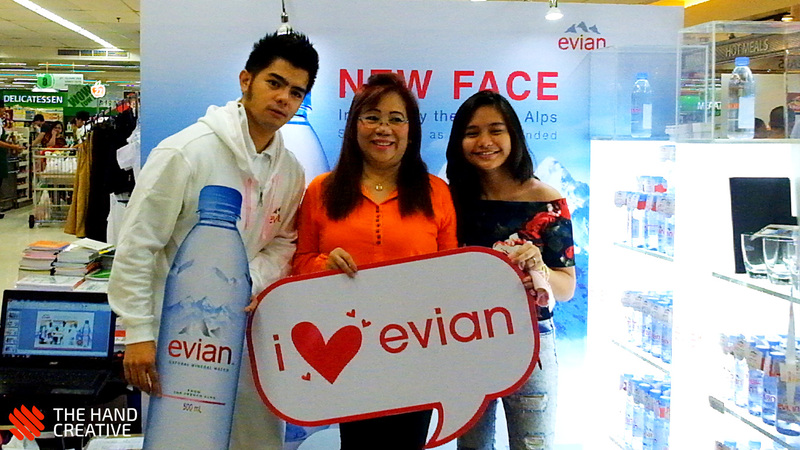 Collect Evian Bottles and Win! 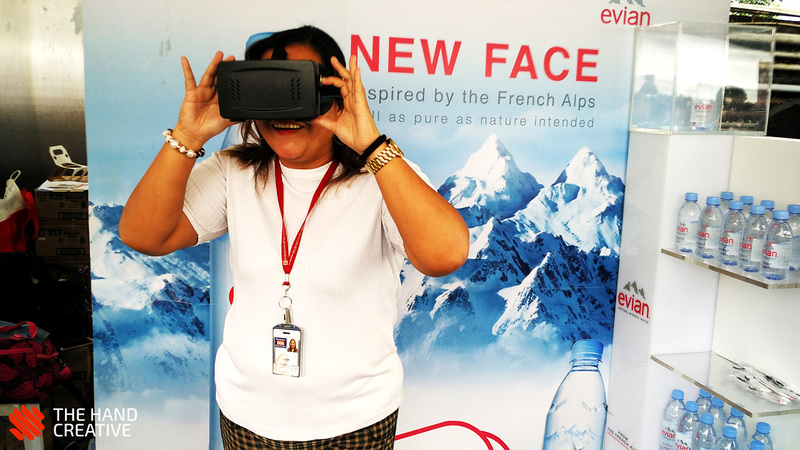 Evian, a mineral water brand that originated in France, decided to advertise their product to the Filipino market through a Virtual Reality Game. 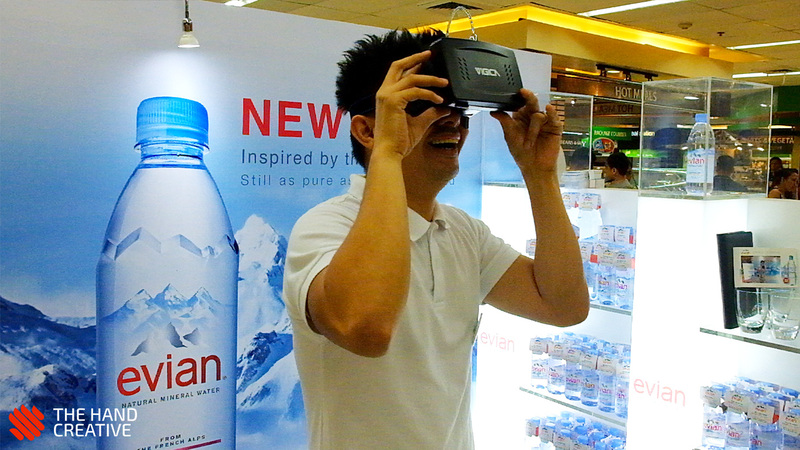 A single purchase of Evian product entitles their customer to a single game play of their Virtual Reality Game. 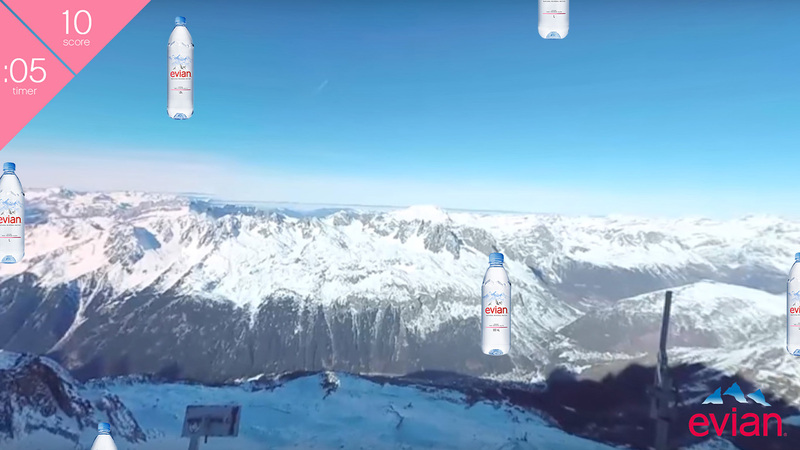 The 360 environment of the game is a mountain range covered in snow which represents the French Alps where Evian mineral water originated from. 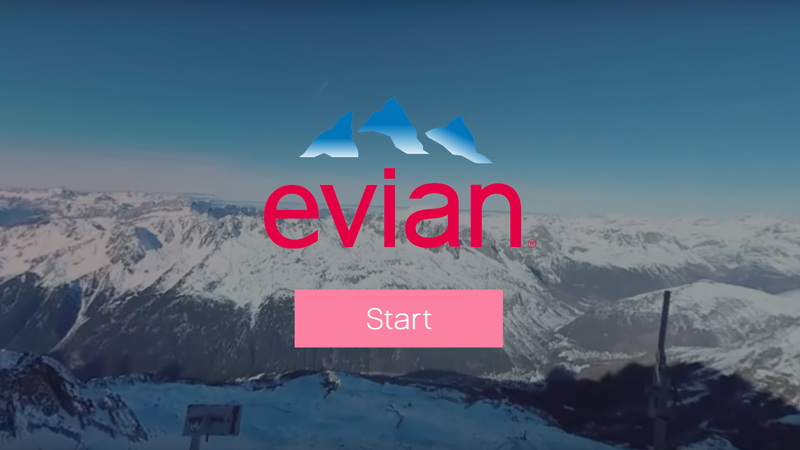 Using head movements, the users must collect as much Evian bottles as they can within 30 seconds. 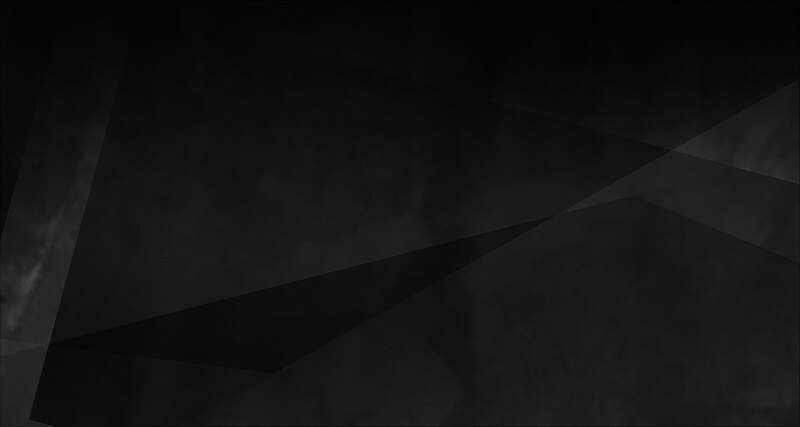 Various prizes were given to the participants depending on their final game score.